Music and Entertainment at Michigan Renaissance Faire – i am uniquely and wonderfully made. 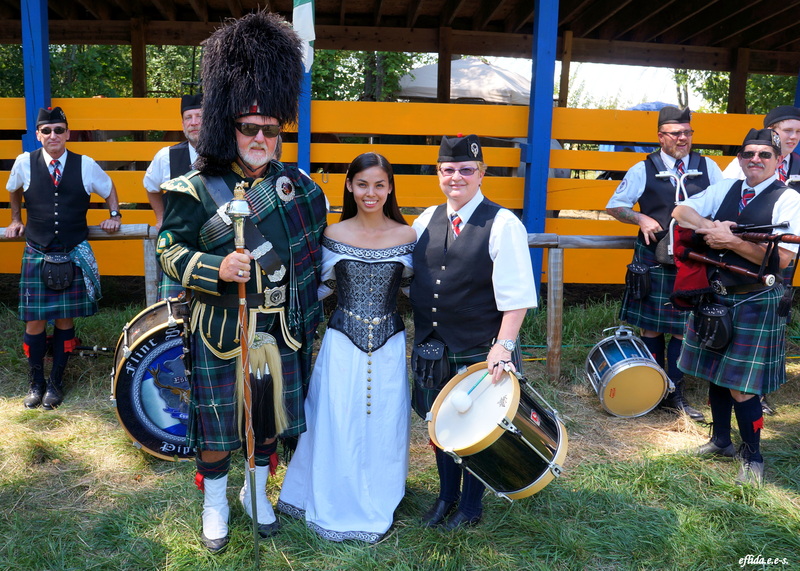 It was a Highland Fling weekend when we attended the Michigan Renaissance Faire. It was of course to my hubby’s delight. If you are a fan of kilts and Scottish bagpipes and drums, this post is for you! We were welcomed by the Flint Scottish Pipe Band upon arrival. Established in 1916, they are the oldest pipe band in Michigan and one of the oldest in the United States. In most of their stage performances, hubby and I were there among the crowd, cheering and humming. It was a challenge to fight the urge to drum as well. The band is genuinely friendly, they even let me handle one of their bagpipes for a try. We were also very honored to have a little chitchat with Don Bussell, the Ceremonial Drum Major before the start of one of their shows. Don Bussell has been the Drum Major for the Flint Scottish Pipe Band for more than 30 years. They take the lead at the festival’s Royal Parade. With the band major, Don Bussell, of Flint Scottish Pipe Band at Michigan Renaissance Faire. 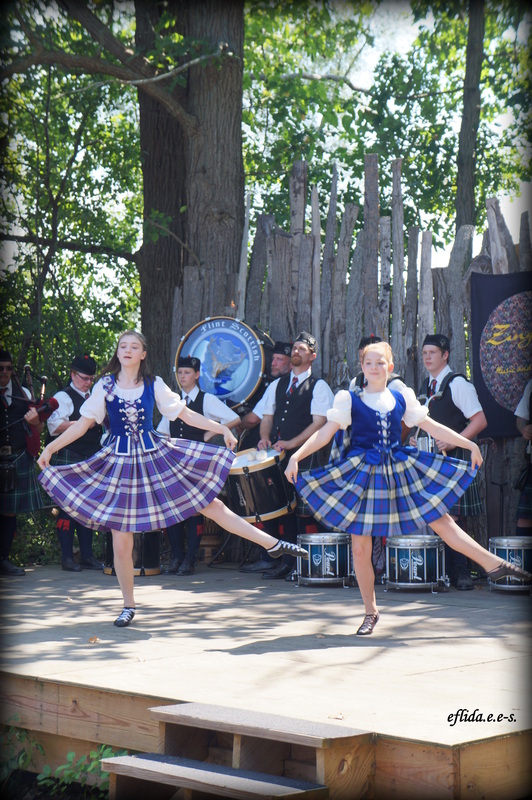 Ladies dancing to the music of Flint Scottish Pipe Band at Michigan Renaissance Faire. Another band loved by many is the Stone Clovers. It is an Irish Folk Rock Group that performs an array of traditional and contemporary Irish and original music. Stone Clovers was created in 2008 and has played in 4 seasons of the Michigan Renaissance Festival. 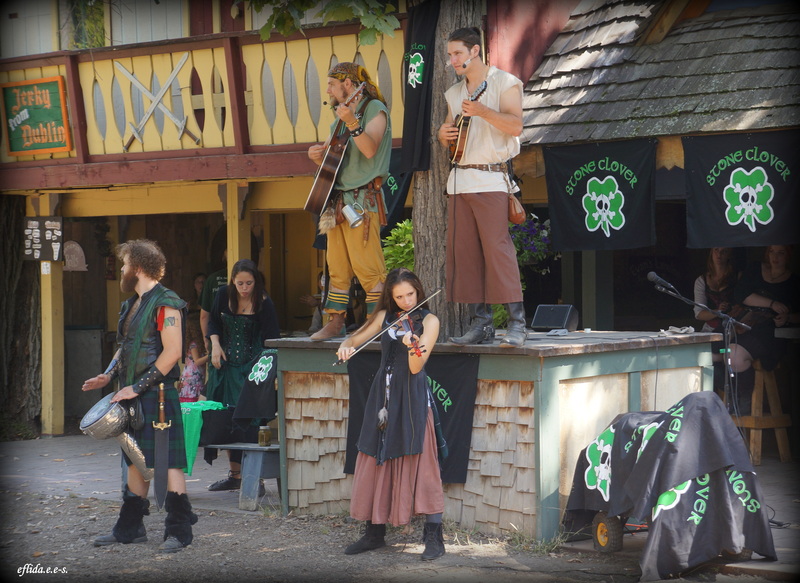 Stone Clover band at Michigan Renaissance Faire. Another hubby’s favorite is the band Tartanic. It is either the pipes or the pretty belly dancers that interest him :) We were however truly stunned at how neatly they performed the Amazing Grace in pipes and drums. Manolete in his Pyro Show was also very entertaining. It takes a ton of wit and humor to pull off that show on stage and he did it naturally. The Tartanic Band in their beautiful rendition of Amazing Grace in pipes and drums at Michigan Renaissance Faire. Manolete in his Pyro Show at Michigan Renaissance Faire. My favorite performance is of the Bawdy Boys. That moment at the bar sitting and just enjoying their music is something I definitely want to do every renaissance faires. Hats off boys! 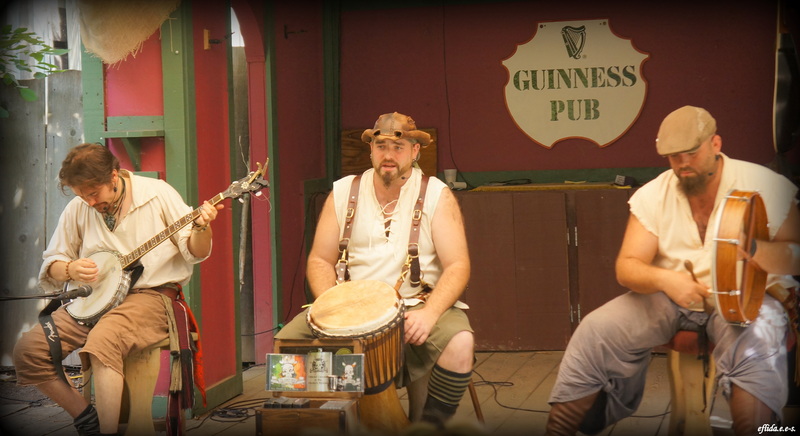 The Bawdy Boys at Michigan Renaissance Faire. And in case you are wondering if it is all loud music at the faire, here is one musician finding solitude at the gazebo. He looks very content. I ought to mention that once in a while I can still hear bagpipes and drums until today in my dreams since the faire in Michigan. Long live bagpipes and drums! 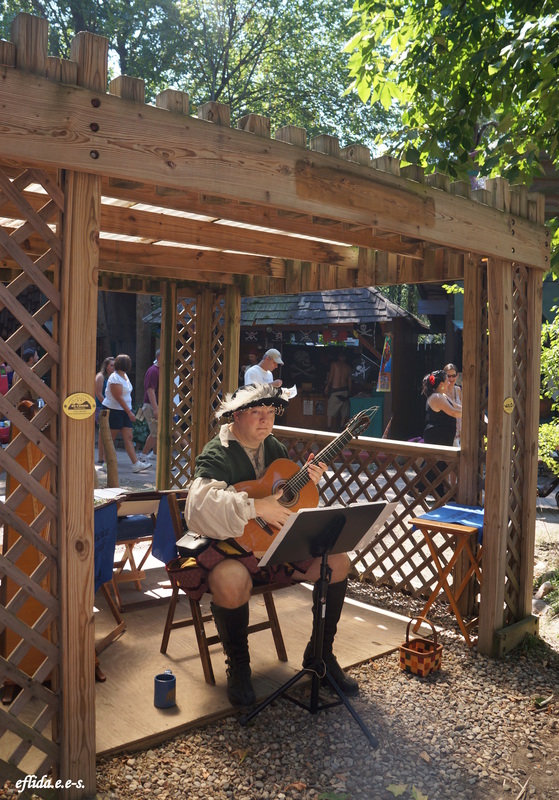 A musician at the gazebo in Michigan Renaissance Faire. Looks like so much fun! I love the names of the music groups, especially “Tartanic”. I have just this month fallen in love with Renaissance Faires! LOVE them! Thank you for finding me. It looks like you loved this as well. Hello! I happened to be goggling around for photos of Flint Scottish Pipe Band and came across your blog!